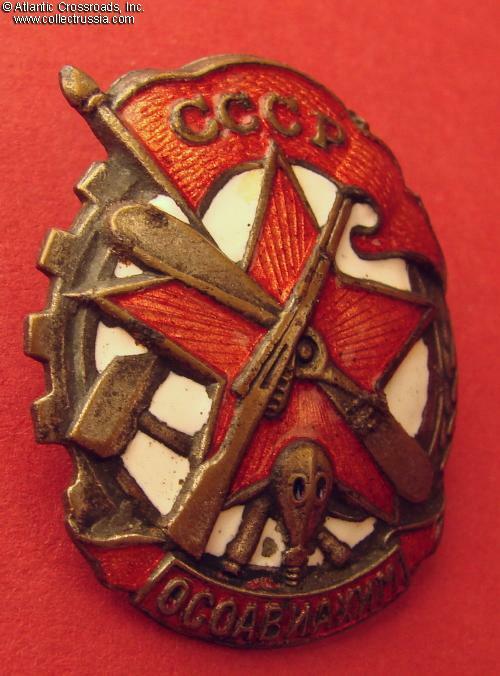 OSOAVIAKhIM membership badge, Type 2, 1941. 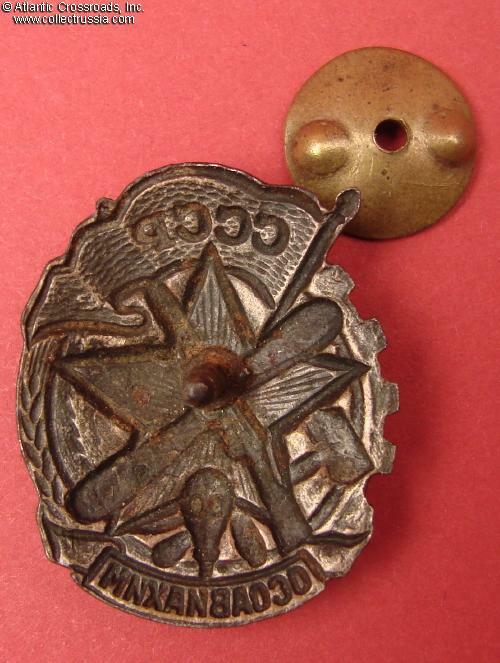 Bronze-plated steel, enamels; 34.0 x 28.1 mm. 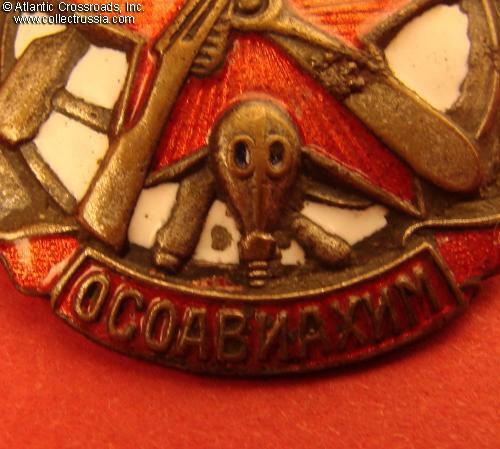 This is the second, larger type of the OSOAVIAKhIM membership badge. 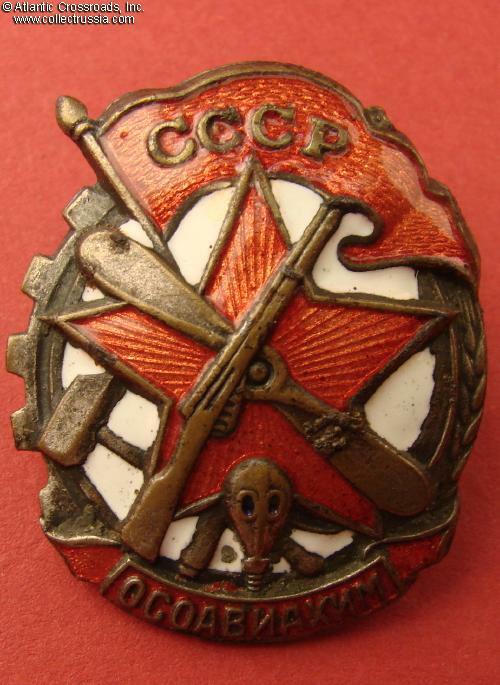 This one is by far the scarcer of the two versions: it was produced for only less than half a year in 1941, until the German invasion. In excellent condition. 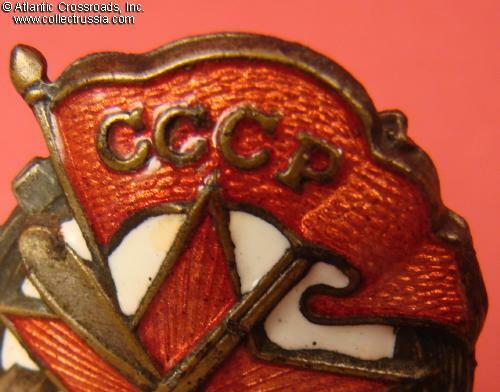 The enamel has what appears to be a tiny surface flake at the bottom of the second "C" but this is just as likely to be a manufacturing imperfection and at any rate, unnoticeable to the unaided eye. The black dot on the white enamel to the left of the gasmask is definitely a factory flaw, not a result of impact or wear. 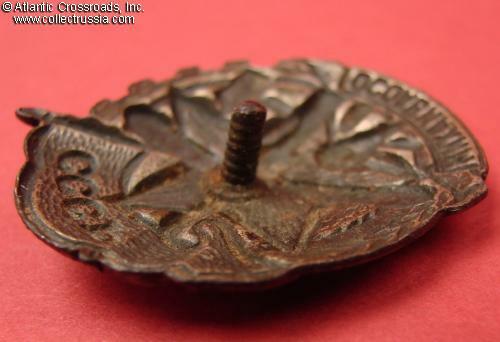 Otherwise perfect, with beautiful luster to enamel and very nicely preserved bronze plating on the metal parts. Some of the fragile original silver finish is still clearly visible on all less exposed areas, especially the cogwheel and hammer. The screw post has been slightly reduced as was customary but its remaining length of over 6 mm is enough to accommodate the screw plate. 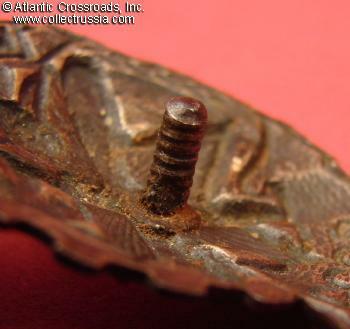 The unmarked screw plate is of the period, fits well, and quite likely, original to the badge.